I’m now in Svaneti, the best known of Georgia’s mountain regions, both because of the stunning views of Europe’s highest peaks (Elbruz – although that’s wholly in Russia – Ushba, Shkhara and Tetnuldi, all over 4,700m in altitude) and because of its rugged and authentic mountain culture. When I first came here in 1998 it literally was bandit country and you couldn’t go out of town without a guide and not at all at night – now it’s quite the opposite and tourists are flocking here, although there are a few complaints about over-charging… New guesthouses are sprouting up everywhere and from the sound of it it’s pretty hard to find a bed in August without a reservation. There’s a new ski resort too (the second one here) so it’s getting pretty busy in winter too. 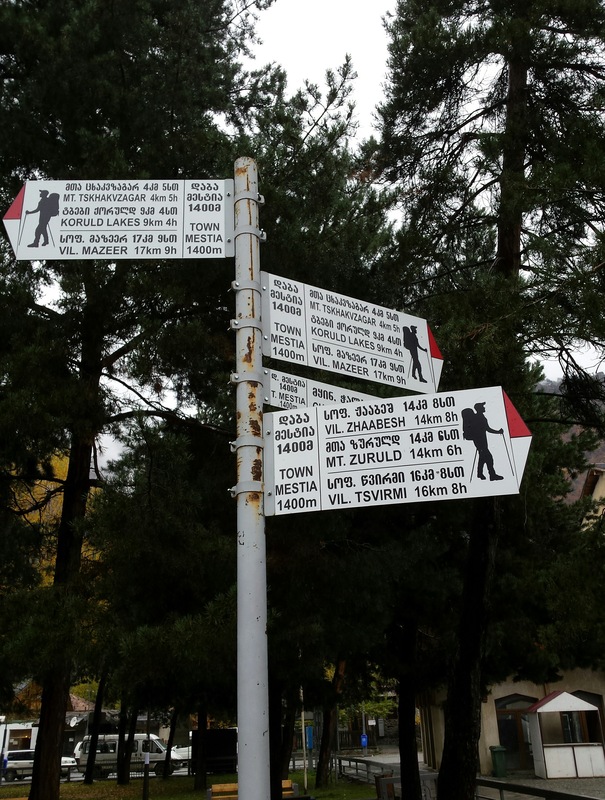 One thing that made a huge difference was the rebuilding of the road in from Zugdidi to Mestia in 2011 – the journey time was halved, from six hours to three, and it became much more comfortable and less stressful. Now the concrete surface is decaying, and only being repaired where absolutely necessary, possibly due to its being yet another of former President Saakashvili’s signature projects that the the present government prefers to forget about. The phrase ‘daylight robbery’ may still be applied to the marshrutkas from Zugdidi to Mestia, which still charge 20 lari. This was fair enough when it took six hours, but it really should have been cut when the new road was completed – the fact that it costs only 5 lari more to go to Kutaisi and 35 lari to go all the way to Tbilisi makes this pretty obvious. 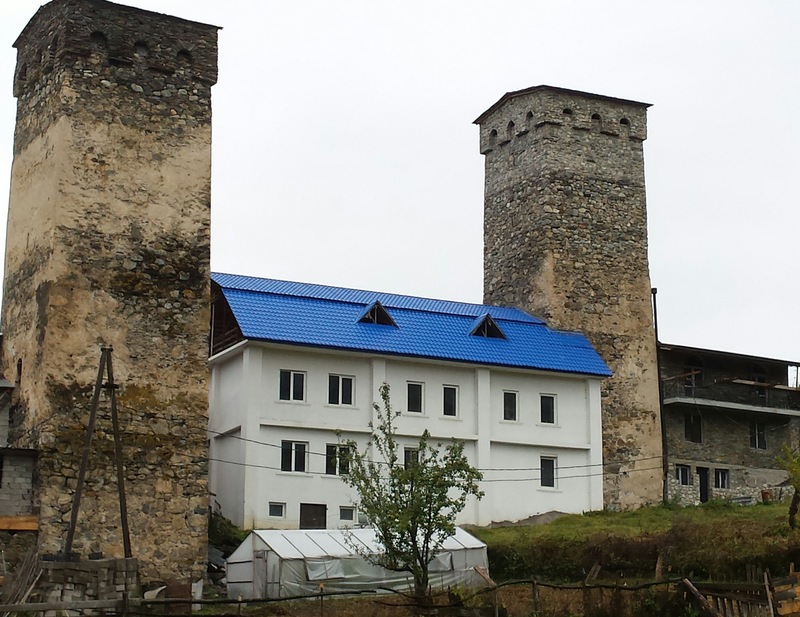 I’ve also just been in Racha, another lovely wild mountain district to the east of Svaneti – there’s no risk of a tourism boom here until the road along the Rioni river from Kutaisi is rebuilt (although there is a decent road from the Tbilisi direction). Marshrutkas charge 7 lari from Kutaisi to Oni, which currently takes 3 hours, the same as Zugdidi to Mestia (and 9 lari to Oni, half an hour further). 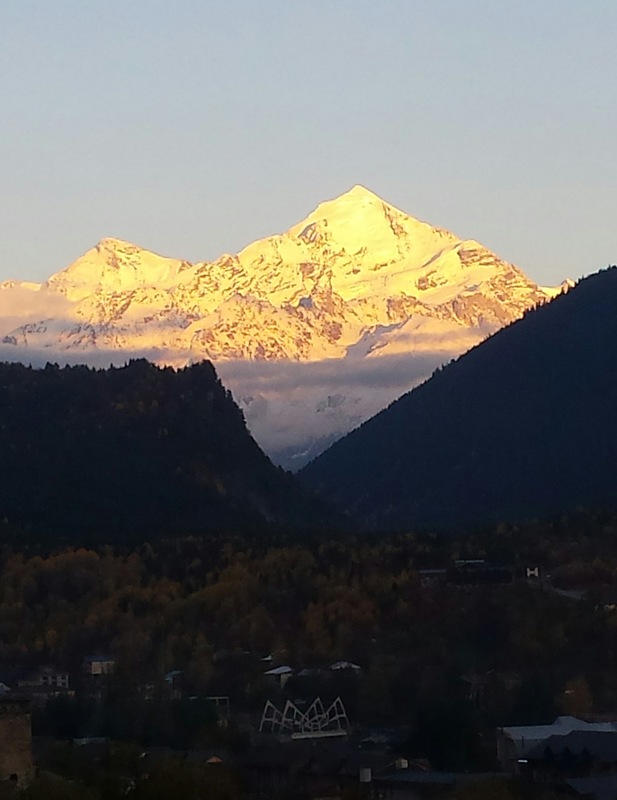 All in all, there’s a serious risk of overcrowding in Svaneti, with tourist numbers destroying the thing they’re seeking. 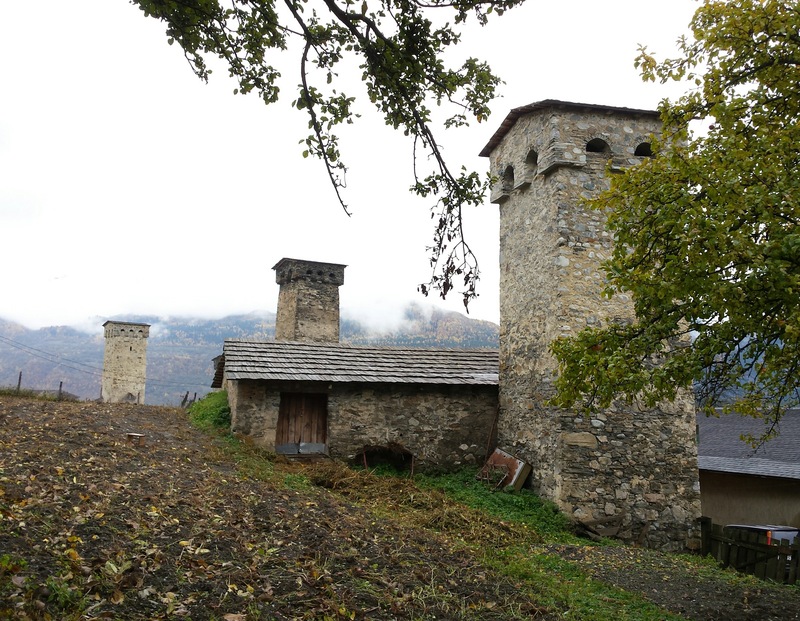 Once you’ve seen the back alleys of Mestia and Ushguli, with their medieval defensive towers looming above, the best thing is to go hiking, and that is still a great way to get away from the crowds and enjoy the scenery. The Trans Caucasian Trail is an inspiring volunteer project to create a through-hiking route along the lines of the Appalachian Trail, for backpackers willing to carry a tent and supplies for several days (although in some places it’s possible to hike from village guesthouse to village guesthouse). 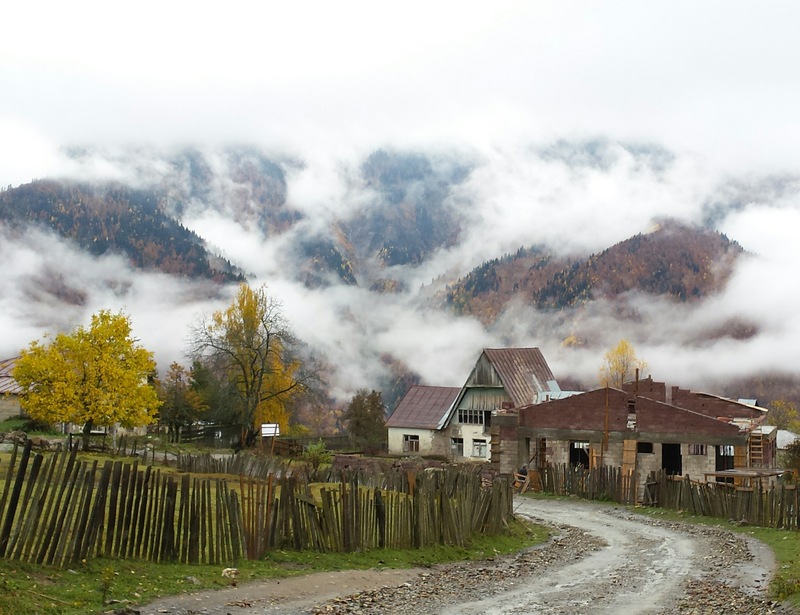 This summer (2017) their trail crews were working to the west of Mestia, where there are far fewer hikers than to the east – there’s already a popular four-day route from Mestia to Ushguli, which can be done village-to-village without camping. There’ll be more on this in the new edition of my Bradt guide to Georgia, of course. One clear benefit of this kind of project is that some villages which had been virtually abandoned, with just a few people coming up to graze cattle in summer, have been revived, with inhabitants returning because of the opportunities brought by tourism. Svaneti has free electricity, a Soviet bribe to allow construction of the huge Enguri hydro-electric dam (the power is also shared with the secessionist region of Abkhazia, but that’s another story) – and the inevitable result is that the switching and transmission gear is more or less unmaintained and power-cuts are frequent (if not too long). 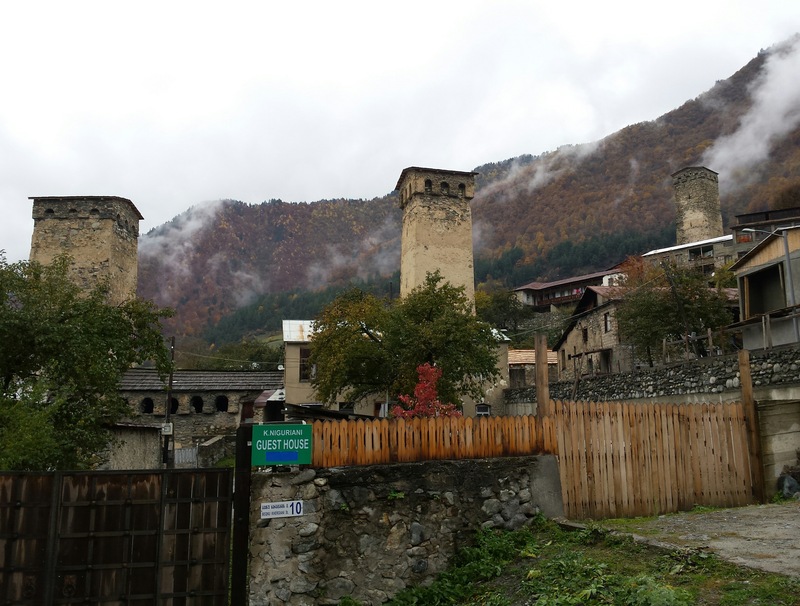 More dams are coming to Svaneti, despite protests at the lack of environmental scrutiny, so the electricity will probably continue to be free, but I’d be happier to see them investing in solar power, as in Tusheti. Internet access is also very unreliable, and the water supply tends to be fairly low pressure. All of this, of course, must be linked to the huge increase in the number of visitors. All in all, it’s great to see people flocking to these stunning mountains, but the tourism boom needs to be managed a bit better.